Vintage photographs are all the rage these days. Hell, vintage everything is big, it seems. There are some websites that do vintage images better than others. One site I stumbled accidentally across several years ago and which I have continued to visit on a regular basis is called Small Town Noir. It features old police mug shots from the former American industrial town of New Castle in Pennsylvania and the stories of behind them. What I like most about Small Town Noir is it’s just that. The person behind the site, a man called Diarmid Mogg, doesn’t post images of big time criminals in New York or Chicago. His subjects are ordinary people and he examines their hopes, dreams and frustrated plans, their small town crimes, and how these brought them to the attention of the police. 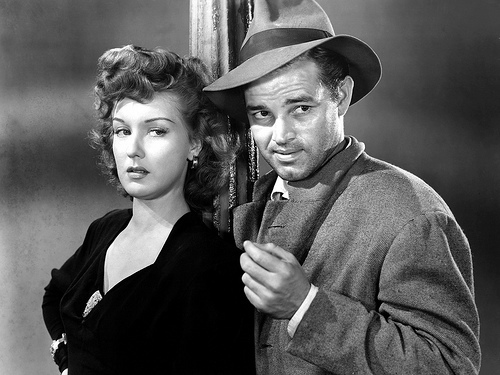 The femme fatale is a staple character of crime fiction and film. Last weekend, I got a glimpse of the reality behind screen and literary presentations of female criminality at an exhibition into Australia’s famous female criminals, currently taking place at Geelong’s National Wool Museum.